The Videotron Centre appreciates the concerns you may have with respect to the circulation of personal information on the Internet and, with your collaboration, wishes to address these issues. This is why we feel it is important that you fully understand the type of information we collect from you when visiting our Web sites along with its intended use. Please read the following sections carefully. We also strongly suggest that you refer to this section periodically for changes or updates. Please be assured that the Videotron Centre will not collect any personal information without your prior consent. The collection and processing of personal information takes place under very precise conditions and at specific times. When registering for our various personalized e-mail services, or for participating in online contests, the Videotron Centre requests that you enter your name, postal address, e-mail and other personal information by filling out an online form. At these very specific times, and prior to entry, the Videotron Centre will explicitly advise you that the information that you are about to submit will be processed and be subject to a host of data collection practices including saving, storing, editing, detailing, archiving and destruction. The Videotron Centre also provides, within reasonable limits, means to verify the accuracy and to update your personal information. 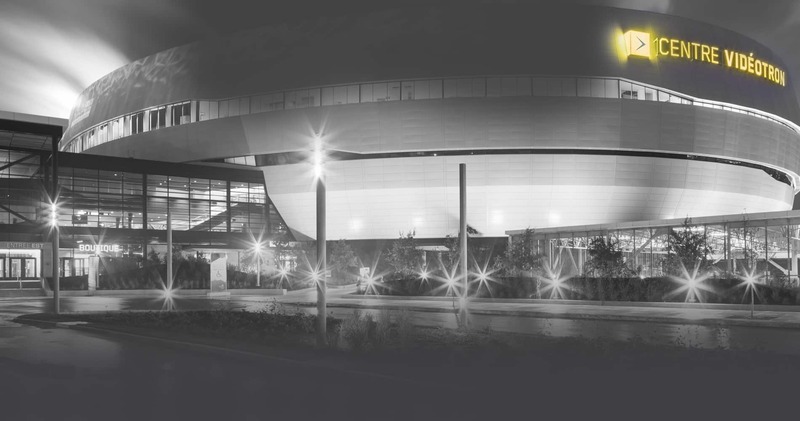 As well, on certain online forms, the Videotron Centre asks you if you wish to receive information on other services, contests or news about the Videotron Centre and its partners. You are always given the option to decline such offers or to end your subscription to a previously requested service. It is also possible that your email may be depersonalized (hashed, according to certain procedures) so that it can be added to the navigation data. The collection of personal information allows the Videotron Centre to provide services relevant to your needs and, in the event that you win one of our contests, it allows us to reach you. It also allows us to send you, from time to time, requested information by e-mail. 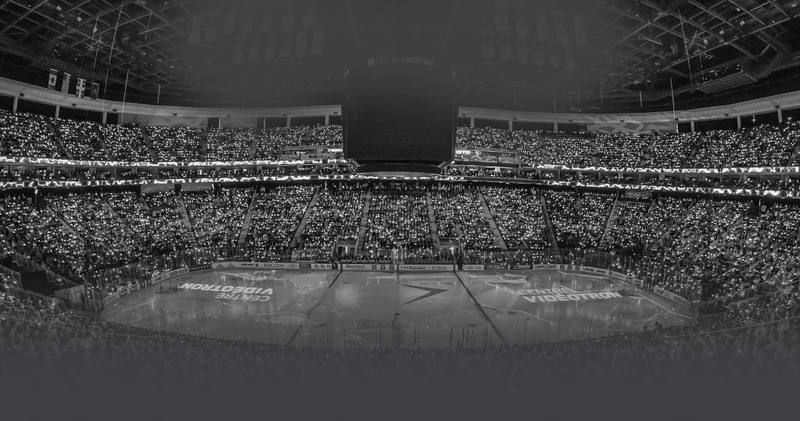 The length of time the Videotron Centre retains your personal information will vary depending upon the rules and requirements of each individual contest, promotion, or activity. It is important to note that the Videotron Centre will never disclose your personal information with sponsors, advertisers, partners and other clients. Your personal information can only be accessed by the Videotron Centre. If ever we request information for another purpose, you will be automatically and explicitly informed at the time such information is requested. We will never disclose any personal information to parties outside of the Videotron Centre without your explicit prior consent. Furthermore, please be advised that all personal information collected by the Videotron Centre is stored in server sectors that are inaccessible to the public. Despite the above, at any time, you may request that the Videotron Centre end its use or planned use of your personal information. In summary, the following are the only times at which the Videotron Centre may disclose your personal information: upon request by a legal authority or in good faith when such action is deemed necessary (a) in order to abide by applicable laws or regulations or to intervene in a lawsuit against the Videotron Centre; (b) in order to protect or defend the legal or property rights of the Videotron Centre or those of its users; and (c) to intervene, under extreme circumstances, in order to protect the personal safety of the Videotron Centre users or the safety of the general public. The Videotron Centre contains links to third-party Web sites; these are provided solely for your convenience. Clicking on these links will take you outside of the Videotron Centre. Please be advised that the Videotron Centre has no control over these third-party sites and, while the Videotron Centre may feature such links, the Videotron Centre will not, at any time, accept liability for these sites. Consequently, personal information that you provide to a Web site outside of the Videotron Centre is subject to the privacy protection policies of the given third-party site. In the event of abuse by such sites, the Videotron Centre cannot, at any time, be held responsible. Therefore, we strongly urge you to carefully read the privacy protection policies of all third-party sites you choose to enter. We also wish to inform you that the risks associated with the supplying of personal information in a chat room, via e-mail or on a Web-based message board are not covered by our privacy protection policy; thus, you must be extremely careful if you choose to supply personal information through these means. You are submitting this information at your own risk. Indeed, this information may be collected and used by third parties without your prior consent. In other words, if you choose to provide personal information online and this information is available to the public, you may, eventually, receive unsolicited e-mail from third parties. The Videotron Centre declines all responsibility in this regard. We urge you to remain cautious and vigilant, at all times, on the Internet. You can opt-out of providing personal information and from receiving information on the Videotron Centre updates and new services, as well as direct email offers from selected the Videotron Centre partners and sponsors. This is done at the point of initial collection of information and during the editing or updating process. The process to opt out of most the Videotron Centre email materials is the same as the process for updating user information profiles described above. In addition, all such email materials have easy-to-follow unsubscribe directions posted at the bottom of the email. If you have any questions or concerns, please contact us. The Videotron Centre has set up security measures to protect you from the loss or unauthorized use of your supplied personal information. As well, the Videotron Centre servers are equipped with firewall technology. 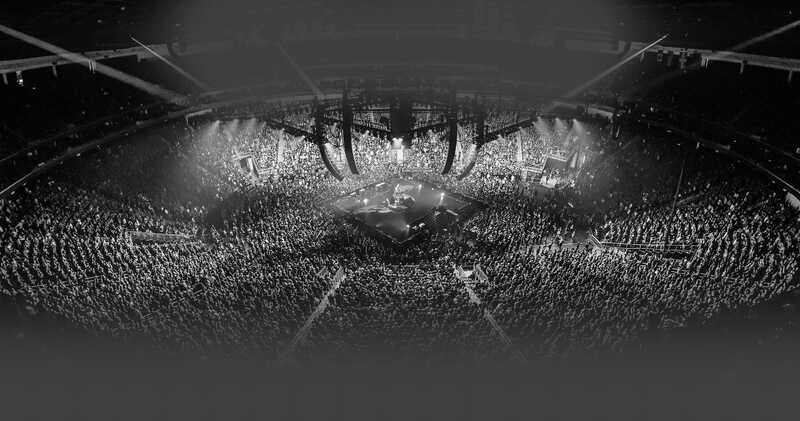 Despite these measures, and given that no technology is foolproof, we must advise you that there will always remain a certain amount of risk and that your personal information may be disclosed, without your consent, unintentionally, and without fault on the part of the Videotron Centre. 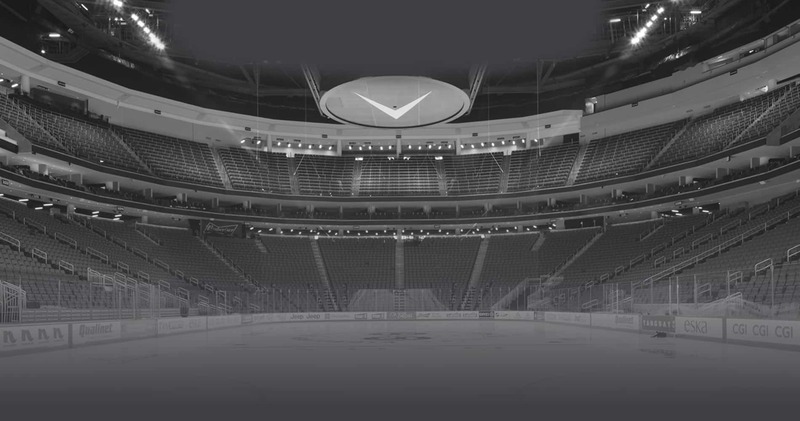 The Videotron Centre declines any responsibility in the event that such confidential information is disclosed, unless caused by negligence on the part of the Videotron Centre. To reduce these risks, as a parent, you should exercise a reasonable amount of supervision of Internet use by your children and teenagers. They should be told to never give out their personal information, such as their name, address or phone number, on any Internet forum. It is also important that children and teenagers be encouraged to share their concerns with you in the event that they receive disturbing or provocative messages. These recommendations will help your children and teenagers surf the Internet in an informed fashion and allow you to ensure that they fully benefit from the learning and development possibilities that exist online. What does «Navigational Data» mean, and how is it collected? Navigational Data is general information about your electronic device or your navigational activity. It may include information about your IP address, your browsing history (such as the time and date you visited this site), the content of the different pages of this site you visited, the number of clicks during your visit, the type of device you used, your general geographic location (province or country), as well as your hashed email, the advertisements or videos that you watched during your visit, and the address of the site you visited immediately before this site or that you visit immediately after this site. Navigational Data is not personal, in that we do not use it, either alone or coupled with other information, with the intent of revealing your identity. The Navigational Data is used solely for the purposes expressed in this policy. Navigational Data is collected by means of so-called «cookies», which are small data files uploaded onto your electronic device (such as your computer, tablet or mobile) once you visit this site. The cookies are automatically sent by the server of this site onto the browser of your device (Internet Explorer, Safari, Mozilla, etc.) and are archived, by default, onto your device.s hard drive. Navigational Data may be collected, in whole or in part, by: (a) us (being the Videotron Centre), Quebecor Media Inc., its affiliates and/or related companies (collectively, «us»); and (b) certain companies with which we collaborate for commercial or non-commercial purposes (such as our advertising and content partners, our service, solution and technological platform providers, or certain companies who wish to acquire our assets) (collectively, our «Partners»). Is Navigational Data shared with third parties? Unless you expressly authorize us to do so, we will not share your Navigational Data with any third parties other than our Partners. Even when we share the Navigational Data with our Partners, they are also bound by the rights, uses and limitations disclosed in this policy. We aim to ensure that the Navigational Data is solely used per our instructions and in accordance with this policy, and all applicable laws, security measures and confidentiality requirements. How do we use Navigational Data? we provide you with advertisements that are in line with your interests. In other words, advertisements may be tailored to you, given the content of the pages of this site that you have visited. Where and for how long do we store Navigational Data? The Navigational Data may be stored on our servers, our providers. servers, or our Partners. servers, as applicable. The Navigational Data is only stored for as the long as necessary to fulfill the purposes described above, after which time it will be permanently deleted. How can you avoid having your Navigational Data collected? By browsing this site, you consent to having your Navigational Data collected in the manner and for the purposes detailed above. Nevertheless, you may at any time erase the cookies currently on your browser or disable new cookies. Certain browsers allow you to pick and choose which cookies you allow on your browser and which cookies you disable. For more information on this subject, please turn to your browsing parameters. Disabling the cookies on this site will not block you access to our page. However, you will be treated as a new user upon each visit and the advertisements you receive will be random and non-personalized. Certain advanced functionalities of this site may be inadvertently affected by disabling cookies because certain cookies enable advanced interaction between different pages of our site. If you are experiencing difficulties as a result of disabling the cookies on our site, we invite you to contact us at any time. Personal information is information that allows us to directly identify you, such as your name, geographical or electronic address, or phone number. We do not collect personal information without your express consent nor will we ask you to provide this kind of information other than voluntarily. For example, you might be asked to provide personal information when you subscribe to one of our sites, newsletters or email lists or when you make a purchase on one of our sites. In that case, you will be asked to create an account with us and provide certain personal information, such as your name and email address. All personal information you provide to us will be used, stored and protected in the manner expressly disclosed by us and accepted by you at the moment such personal information is collected. What happens when you click on an advertisement or an external link embedded on our site? When you click on an advertisement or an external link embedded on our site, you will be redirected to the site of the advertiser and third party sponsoring the link, respectively. The new site will have its own policy regarding Navigational Data that may differ from ours and the new site will also likely have its own cookies. The policy of this site will no longer apply and your online activity will be subject to the new site.s policies. Can you access or ask us to rectify my Navigational Data? Yes, you can access or ask us to rectify your Navigational Data by submitting a detailed request to:infoprivee@quebecor.com. However, we can only satisfy your request if we already have a personal folder in your name in our files (for example, if you already communicated personal information to us when creating an account) and if we are further able to confirm that the Navigational Data contained in that personal folder is in fact yours.